If you want a perfect, thick-cut slice of bacon every time, you've come to the right place! 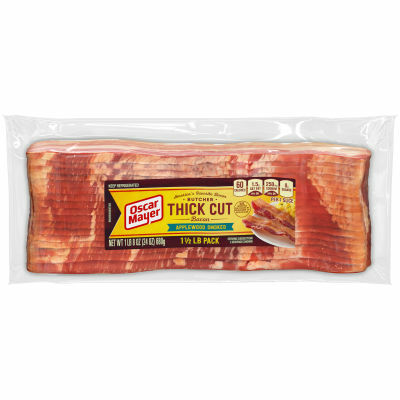 Oscar Mayer Butcher Thick Cut Bacon is slow smoked and hand-trimmed from the finest cuts of pork. With all this great flavor, everything you make will be better. Serving size 1 skillet cooked slice (12g).